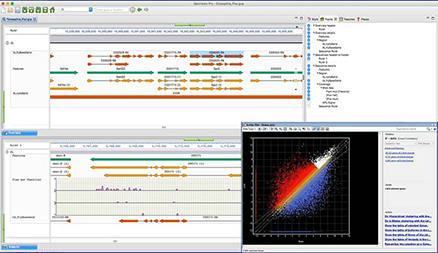 Lasergene, DNASTAR’s complete suite, includes the Molecular Biology Suite, Structural Biology Suite and Genomics Suite. 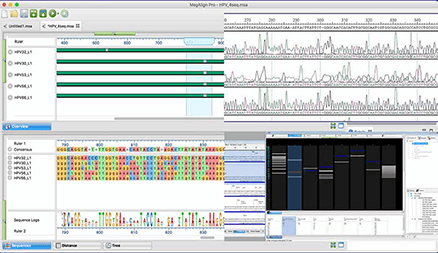 One bioinformatics software solution to cover traditional sequence analysis, cloning and primer design as well as next-gen sequencing, gene expression, RNA-Seq, ChIP-Seq, and transcriptome analysis. 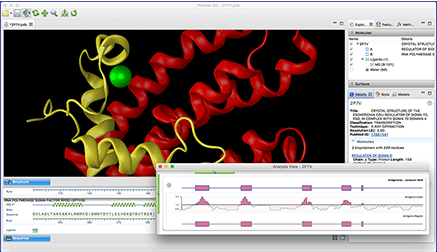 DNASTAR is a global software company that has been meeting the needs of life scientists for 30 years, providing innovative and easy to use bioinformatics software. From the lecture hall to the lab, our dedicated team of developers, support and sales staff come from various scientific backgrounds. We understand your needs because they were our own. We continue to innovate our products and portfolio to meet the evolving needs of all individuals in the life science community. Find out about upcoming webinars and conferences DNASTAR will be attending. DNASTAR news and Lasergene product updates. 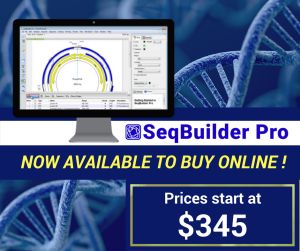 SeqBuilder Pro is DNASTAR‘s premier software application for primer design and cloning. Visit seqbuilderpro.com to learn more and buy online!